DALLAS – March 28, 2019 – National Write Your Congressman (NWYC), an organization that gives small businesses a voice in American government, finds in its Q1 2019 Quarterly Index trust, hope and satisfaction in U.S. Congress has decreased to its lowest levels since the 2016 election. Dallas – February 13, 2019 – National Write Your Congressman (NWYC), an organization that gives small businesses a voice in American government, is proud to announce the promotion of Sid Mignery to region manager. 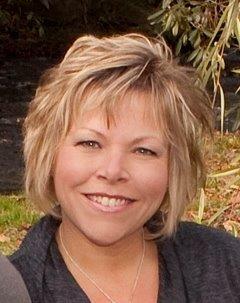 Mignery will oversee NWYC’s Midwest region and will be responsible for training and development of NWYC sales representatives. The Q4 2018 Quarterly Index from the National Write Your Congressman (NWYC) organization reveals immigration ranked as a top small business concern in this quarter. According to NWYC, this is the first time the issue of immigration ranked in the top five. Are small businesses beginning to have feelings other than optimism as we near the end of 2018? Headlines this week suggest that the ebullient air among small business owners like yourself is being overcome by worry. Maybe it’s just the holidays? National Write Your Congressman (NWYC), an organization that gives small businesses a voice in American government, is proud to announce Donna Felts as the 2018 Rodney Mayes Followship Award recipient. National Write Your Congressman (NWYC), an organization that gives small businesses a voice in American government, announces the expansion of its regional presence and the relocations of three of its sales representatives. NWYC’s "We the People" movement featured on “One Nation Under God” radio show! The Dallas Morning News mentions National Write Your Congressman's winning of the Texas Small Family Business of the Year by Baylor University's Institute for Family Business. 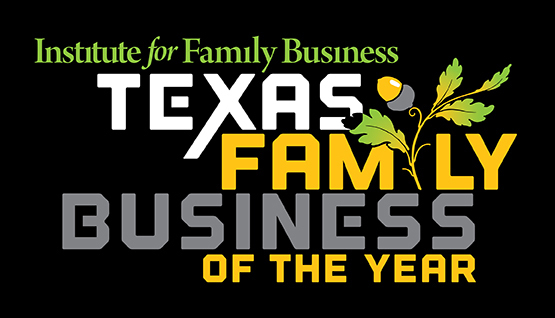 Dallas – October 19, 2017 – National Write Your Congressman (NWYC), an organization that gives small businesses a voice in American government, was selected as Texas Small Family Business of the Year by Baylor University’s Institute for Family Business. In addition to several fixes to make the app run more smoothly overall, and make it clearer and easier to navigate, several requested improvements have been made to this version of the app, from the ability to call your legislators directly, to improved tools for writing to them. VoyageDallas interviewed National Write Your Congressman's COO, Randy Ford. Dallas – August 1, 2017 – National Write Your Congressman (NWYC), an organization that gives small businesses a voice in American government, is proud to announce that they are hiring new outside sales representatives in the greater Nashville area. Dallas – August 1, 2017 – National Write Your Congressman (NWYC), an organization that gives small businesses a voice in American government, is proud to announce that they are hiring new outside sales representatives in the greater Minneapolis/St. Paul area. Dallas – May 17, 2017 – National Write Your Congressman (NWYC), an organization that gives small businesses a voice in American government, today announced it is creating new outside sales representative positions in the Rio Grande Valley and throughout South Texas by the end of the year. Candidates interested in sales representative positions can learn more and apply online at https://careers.nwyc.com/. NWYC is hiring outside sales representatives across the country. Dallas – June 21, 2017 – National Write Your Congressman (NWYC), an organization that gives small businesses a voice in American government, awarded Rick Gaul with the 2017 David N. Adamson Founders Award. The award is given annually to the NWYC sales representative who symbolizes an “All-American” spirit and furthers the mission of the organization. The economy added a robust 209,000 jobs in July, the Labor Department reported Friday, down from 231,000 in June. National Write Your Congressman (NWYC) congratulates Whitbeck Laboratories, Inc. for being the longest running member in the state of Arkansas. Whitbeck Laboratories, Inc. first became a member in 1984, and since then, has continued to be an active and engaged member, staying informed of the issues and communicating with their representatives in government. Dallas – Nov. 14, 2016 – National Write Your Congressman (NWYC), an organization that gives small businesses a voice in American government, named its regional director Randy King as recipient of the 2016 Rodney Mayes Followship Award. National Write Your Congressman (NWYC), an organization that gives small businesses a voice in American government, is donating 1,600 educational books about American government and civic engagement to fifth through eighth grade students who will be visiting the 2016 Orange Field of Valor. National Write Your Congressman (NWYC), an organization that gives small businesses a voice in American government, is hiring outside sales representatives in the battleground states of Colorado, Nevada, New Hampshire, Virginia, Pennsylvania, North Carolina, Florida, Iowa and Wisconsin. National Write Your Congressman (NWYC) congratulates Snead Discount Pharmacy in Snead, Ala. for being the longest running member in the state of Alabama. National Write Your Congressman (NWYC) has named Randy King, a resident of Scottsdale, Arizona, as Regional Director. In the role, King manages 50 legislative research consultants in 21 percent of all U.S. Congressional districts, and NWYC accounts in Arizona, California, Colorado, Hawaii, Nevada and Utah.